Perfect for any hair type or texture, the Paul Mitchell® Original range leaves hair conditioned and balanced. 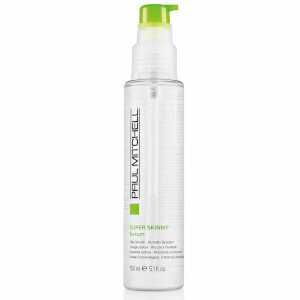 Give fine hair a weightless boost with the Paul Mitchell® Extra‐Body range. 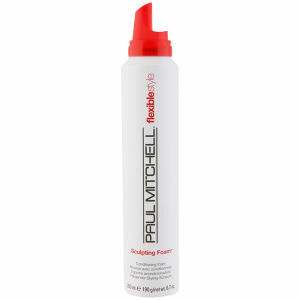 Paul Mitchell® Color Care protects from colour fade and cares for the hair structure. Repair your hair and banish brassy tones with the Paul Mitchell® Blonde range, featuring exclusive KerActive proteins to keep hair glossy and healthy. Discover the natural magic of tea tree and turn your shower into a spa‐like indulgence with the rejuvenation scents of the Paul Mitchell® Tea Tree range. High performance grooming for the modern man. Concentrated high‐performance products guarantee that a little MITCH® goes a long way. Intelligent styling with cutting‐edge technology, Neuro® Styling Tools give you optimal results every time. Introducing, the NEW Blonde system from Paul Mitchell, a new icon in the hair care world. The first system from the hair care brand which specifically cares for all blondes. From platinum hair shades, to warm, honeyed locks and ash blondes, these protein packed products are guaranteed to make every blonde steal the limelight. The Blonde System boasts products for every blonde hair colour. The Platinum Blonde Shampoo works best for natural and colour-treated blondes who want to keep their shade cool. The Shampoo works to banish brassiness and brings out the best in your blonde shade. Over 25 years ago, two friends founded a company 'by hairdressers for hairdressers' that would provide tools of success for the entire beauty industry. Today their vision has become a reality with Paul Mitchell growing into the largest privately held beauty company in the world. Their commitment to creating quality professional hair care products has never wavered. Paul Mitchell® is always looking out for their furry friends. In 1987, they became the first professional beauty company to announce that they don't conduct or endorse animal testing. The nature of thicker, fuller hair. A three step preventative system that gently and naturally helps to address thinning hair. Ideal for men and women, this colour safe daily regimen is infused with exclusive Regeniplex botanical blend. Your ultimate defense against colour fade. Ultimate colour repair harnesses the reparative power of quinoa to lock in hair colour, restore lustre and reverse the signs of damage. Experience vibrant colour for up to 9 weeks when using the full system. All your favourite Paul Mitchell shampoos and conditioners in supersize proportion. Over 25 years ago, two friends had a vision to found a company ‘by hairdressers for hairdressers’ one that would provide tools of success for the entire beauty industry. Today, their vision has become a reality with Paul Mitchell growing into the largest privately held beauty company in the world. Their commitment to creating quality professional haircare products has never wavered.